Are you ready for a new smile, but don’t the best way to go about achieving it? The flaws among your teeth have made you feel insecure about what your smile has to offer for too long now. Your Waco dentist can help you decide which treatment is best for you. Let’s explore the cosmetic services we offer at Premier Family Dental. Patients with metallic allergies can still straighten their teeth. Gently, gradual shifts teeth from a light pressure rather than painful tightening appointments with an orthodontist. Custom fitting aligners made just for you for personalized treatment. The aligners are practically invisible. The aligners are removable so you can eat the foods you’ve always enjoyed. Your dental routine stays the same since you can remove your aligners when it’s time to complete your dental routine. 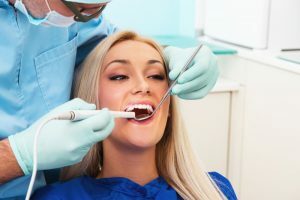 Cosmetic dentistry has made leaps and bounds to create convenient ways for patients to achieve the smiles they desire. If you’re ready to get the smile you’ve always dreamed of, contact us to discuss our modern options. We would be happy to help you! by: Dr. Rick Cofer at September 1, 2017 .